A reputed full-cycle mobile application development company, Cumulations Technologies holds a successful track record of launching Android and iOS apps for small Startups to big enterprise businesses. 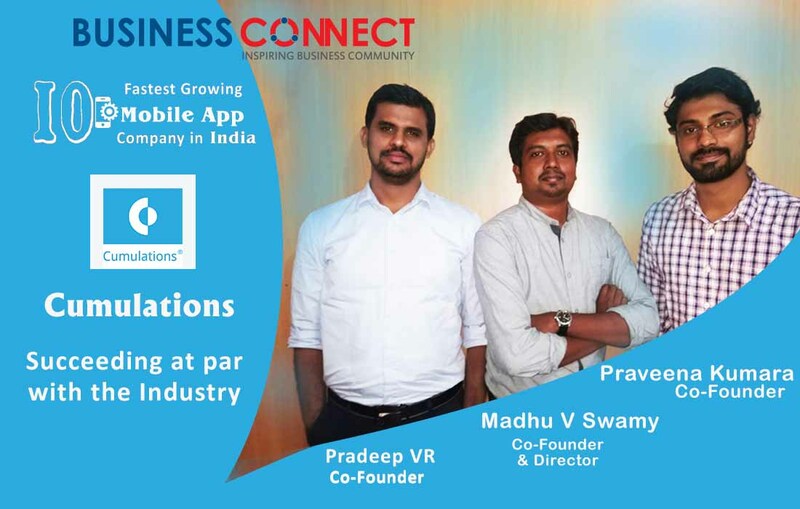 Founded in the year 2012 by Madhu V Swamy, along with 2 other co-founders, Praveena Kumara and Pradeep VR, the company has been offering a wide array of web and mobile app development services across the globe. Alongside, the company is also providing complete mobile app development solutions including Android App Development, iOS App Development, Flutter app development, IoT App Development, Chatbot development, Alexa skill development, Google home actions development and cloud solutions. Further, let’s glance through the successive pages of their journey. “We began Cumulations Technologies with an aim to provide exceptional software solutions to our customer base. While working with Infosys in senior development roles, I learnt the values of quality, hand holding the customers and eye for detail. At Cumulations, we adhere to the philosophy of being with the customer and lead them towards the ladder of success. 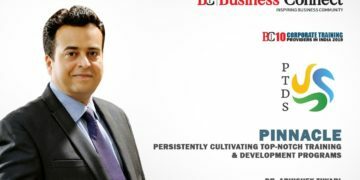 Our team’s expertise has helped us to achieve this for half a decade and I’m confident of Cumulations Technologies playing a pivotal role in adding value to our customers,” explains Swamy. The mobile industry is growing rapidly and the team believes that this is a perfect time to be an app solution provider when people require an app for everything; hence the Cumulations team is the best fitting in their entrepreneurial ecosystem. Building a successful brand in today’s competitive world wasn’t a cakewalk for the team. 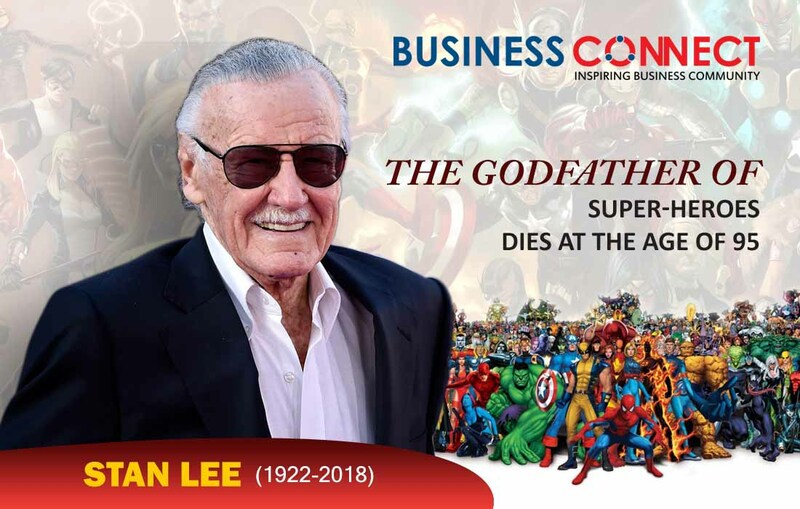 While Business connect was interviewing the founders, they revealed that they were focused, determined on what they intended to do and Cumulations Technologies travelled the path of product building and then implementing it in target markets all by itself. This helped them to gauge a clear understanding of their client and to stand ahead of their expectations. Under the stewardship of its adept founders, Cumulations today has a track record of 100 percent delivery of their assignments and this has all been possible because of their dedicated team. At Cumulations, employees aren’t restricted to working with the mindsets of only founders, they have an open work culture with no restrictions, and each employee is empowered to voice their opinions. Cumulations Technologies is all about a team of people who are self-motivated and a smart employee base, goading people to push beyond accepted benchmarks. “As a company, initially we did face challenges in convincing the customer to catch up with the industry trends. Customers somehow didn’t see where the industry/technology was heading and we knew that if they don’t catch up with the trends, it would be difficult for them to make an impact in the near future. However, even if it takes time providing them with the right data and examples, we will help them to make those decisions,” says Swamy. Cumulations Technologies has been termed as the center of excellence for IoT solutions development. The team’s zeal and enthusiasm to deliver their products with passion is what has kept them going. The team has immense expertise in working with mobile apps which have external hardware interaction over different communication mediums and protocols. Cumulations’ understanding of the hardware world and building apps for that hardware has been the biggest differentiating factor, similar been reflected in its portfolio apps. Keenly observing a solution-oriented approach, Cumulations has always been hugely committed to the principle of “People-Our Core.” Cornering the market by propelling pioneering products, the company puts special focus on adding value to the lives of its customers. 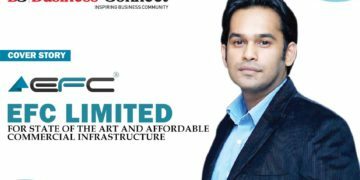 It has triumphantly inculcated a customer-centric approach in conjunction with agility towards shifting market dynamics throughout all development practices to establish a 24*7 connect with all customers. Driven by the dictum of excellence, the team at Cumulations Technologies strives to deliver beyond customer expectations. They are committed to maintaining strong relations with their customers and striving hard to earn their trust by being transparent and accountable. Maintaining the status quo is not a persuasive game plan. This fundamental belief has always driven the team at Cumulations Technologies, assisting them in establishing their company as a respected global brand. “To think before [strategizing/designing/coding]” has been the successive mantra of the company’s success. It is fully committed to building a culture that is customer-centric, celebrates innovation and nurtures entrepreneurship. Cumulations Technologies has core expertise in building apps in the domain of IoT, and they are thorough with the in and outs of IoT mobile app development ecosystem which makes them a center of excellence for IoT. Cumulations’ understanding of the hardware and firmware world and building apps for that hardware has been the biggest differentiating factor. The team is well versed with technologies like NFC, WiFi Direct, Bluetooth, Bluetooth Smart, Zigbee, Beacons/iBeacons, MQTT, UPnP, and others with top-notch UI & UX. “Going further, we want to provide services to bigger clients and take up more challenging & bigger projects where we can make an impact. Also, we want to make some progress on technologies around Artificial Intelligence,” wishes Swamy.